Serving clients throughout Dickson, Humphreys and Cheatham counties, our law firm has become the trusted source for those across our region in need of effective defense strategies to help them mitigate any potential consequences and preserve their freedom. A highly rated and experienced trial attorney, Leonard G. Belmares II has achieved unprecedented success fighting on behalf of the rights and liberties of numerous clients in both state and federal courts, and he established our law firm to better serve those in our community by focusing on their needs and helping them secure a brighter future. 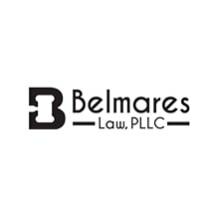 At Belmares Law, PLLC, we understand the stress and uncertainty you are likely experiencing regarding your situation, which is why we will remain with you throughout all legal proceedings to explain your options, address your questions and concerns, and help you achieve the most favorable outcomes possible. To receive a free evaluation of your case, you can contact our law office to schedule an appointment.